Darjeeling tea is a delicious beverage when drank as iced tea. My family, especially my children love iced Darjeeling tea very much. Assuming you would to prepare an iced Darjeeling tea, how would you do it? Would you just brew it and leave it to cool? If so, the tea won’t taste excellent. With just a little more effort, your iced Darjeeling tea will turn out fantastic. 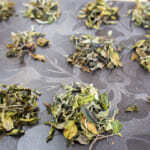 In this article, I would like to share on how to prepare an excellent cup of iced Darjeeling tea. You would not be able to extract the flavor if you brew Darjeeling tea directly in cold water. Tea has to be cooled down at once. However, the flavor substance will be oxidized if it takes a long time to cool. The outcome is totally different when fresh water is used compared to boiled water (cooled) after left to cool down. If you pay attention to the three points mentioned above, you could make a fine cup of iced Darjeeling tea. 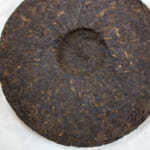 Black tea is a fermented tea. The fermentation is equal to the oxidation, and the oxidized substances have less affinity with water. Thus, if tea is brewed in cold water, you may not be able to enjoy its full extent of flavor. Regardless of cold or hot water brewing, we would like to enjoy the strong upcoming flavor, do not we? So, please make sure to brew the Darjeeling tea with boiling water. 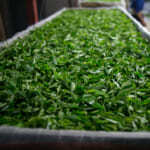 Usually, we need about 5g of tea leaves to prepare 1 litre of tea. However, we normally brew tea in about 100-300ml of water. 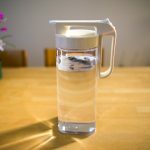 Therefore, I would suggest about 200ml of water is just right; because if too little volume of water is used, the temperature will cool down too fast. 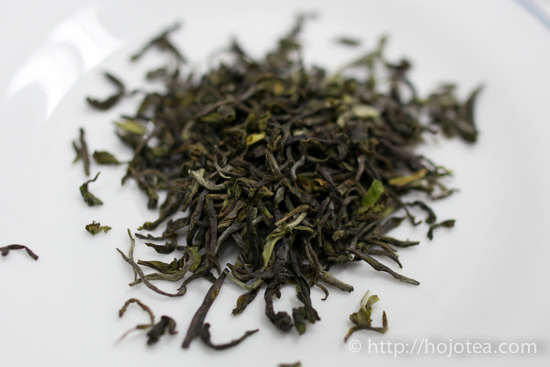 For normal drinking occasion, the brewing time of Darjeeling tea is less than a minute. However, for preparing iced Darjeeling tea, you will need to brew the tea for more than 5 minutes; until most of the substances that composed the flavor and the taste is extracted. 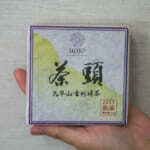 Finally, you will obtain a very thick and strong tea which will then be used as a base tea for the iced Darjeeling tea. If you would to brew a litre of tea, it would require a rather long time to let the tea cools down naturally, which I think it would take more than an hour. 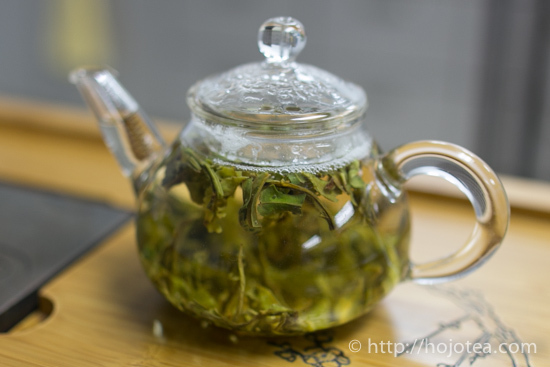 While the tea is still warm, the flavor substances in the tea will get oxidized; and by the time the tea is completely cooled, the color and flavor will no longer be the same as the freshly brewed tea. Thus, it is very important to speed up the cooling process. 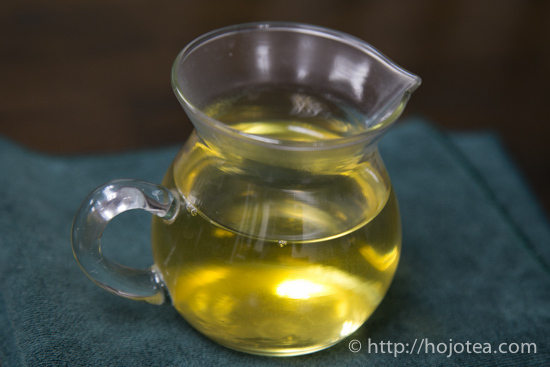 Therefore, for making 1 litre of Darjeeling tea, first, I will prepare about 500ml of ice in advance. Then, I will pour the 200ml of the very thick Darjeeling tea on the ice and immediately let it cool down. 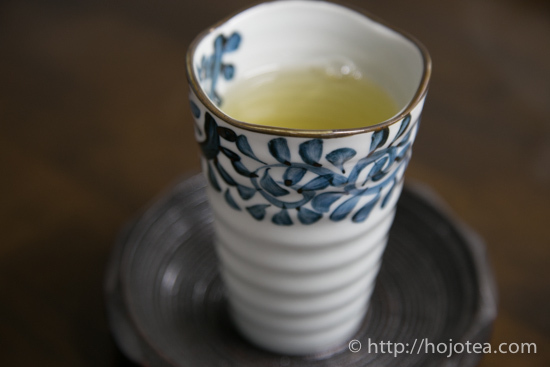 In this way, the tea will be cooled within minutes whilst maintaining the freshness in flavor and taste perfectly. Lastly, I will add in some water to adjust the thickness to an ideal taste. Depending on the calcium level in water, the flavor intensity will differ. Hence, with the suitable water, 5g of tea leaves may be able to get you a litre or sometimes even up to 2 litres of iced tea with adequate flavor. 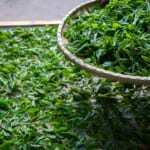 It is depending on the type of water you use; if the water is rich in calcium which exhibits a strong body, you may tend to brew more tea from the same amount of tea leaves. The taste between a fresh water and boiled water is different. The fresh water gives stronger after taste than that of the boiled water. 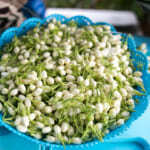 However, due to lack of body, the fresh water gives weaker flavor compared to boiled water. 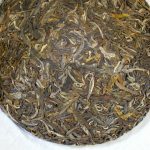 For a fermented tea like Darjeeling tea, the body is a very crucial essence to enjoy the tea. Please also use boiled water to prepare the ice as well as the cold water used for adjusting the taste of Darjeeling iced tea. It is nothing wrong to use fresh water to prepare the ice or cold water; however, you won’t be able to get the full extent of its flavor. 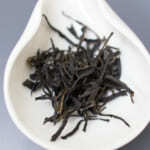 The freshness of the Darjeeling iced tea lasts for more than a few days; as long as it is kept in the fridge. In my family, we often keep the Darjeeling iced tea in the PET bottle and get it frozen. We carry the frozen Darjeeling tea in PET bottle whenever we go traveling. This method is also applicable for preparing the iced Hoji cha or any other kind of iced tea, for example, oolong tea, white tea and etc.